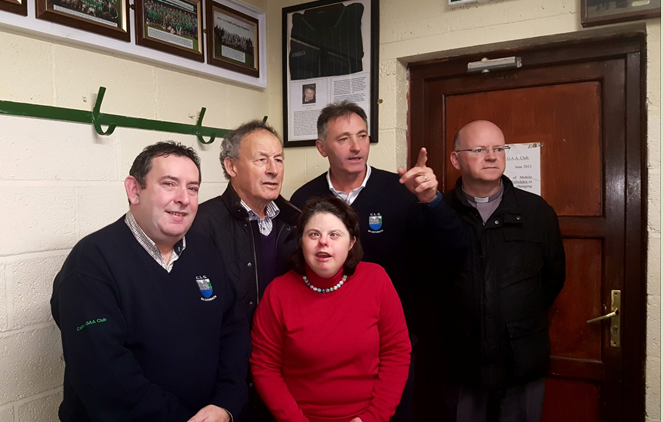 It is with sadness we have to tell you of the tragic and untimely death of Ted Linehan RIP, (Ted was PRO of our club in the early 2000's and was in office when Cahir won their first senior County Senior Football Championship in 2003, he worked hard for the club and was well respected by all in our club, he will be sadly missed by us all, our condolences to the Linehan family and extended family on their loss, our thoughts are with the Linehan family and extended family at this very sad time, Ar Dhéis De Go Raíbh . Our next instalment in this competition is next Wednesday evening when we play the combo team of Skeheen/Clonmel Óg in St. Mollerans, Carrick on Suir, throw in 8pm, if you can please come along and support our fine young bunch of players, thank you. Last Sunday evening the Abbey Tavern were the host for the latest round of weekly fund raiser as usual we thank you all for you kind and continued support, this week's winners: Chris & Eddie Kendrick, Mary & Roisin Howard, Curry Hanley, John O'Brien & Liam Shinnick. 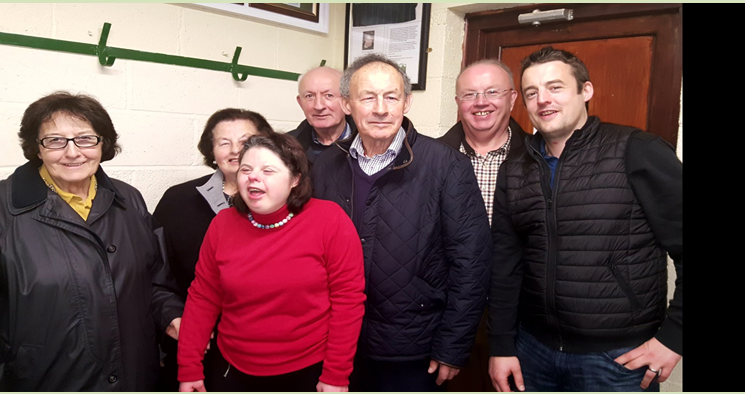 Our now annual mass for our deceased loved ones took place last Saturday evening in St Marys church, and all back to our club rooms for some chat and a cuppa, always a great occasion and a special one for the Hyland family (pictured above), as we honoured Maurice ‘Mossie' Hyland with a small token from our club to remember him by, (Mossie's referee's jersey framed, with a little piece about his life with Cahir GAA Club,), the jersey was unveiled by his brother Pakie on the night, a large crowd attended and everybody went away pleased with the evening, in the picture below were John O'Donoghue (PRO) Pakie Hyland, Pat O'Brien and our new Parish Priest Fr. Tom Rogers and Mossie's daughter Ann-Marie, the club rooms looked very well on the night with all the new pictures hanging on the walls (they look great) and the layout of tables and chairs and the food display all looked fab. We must thank everybody who helped out on the night, for all the baking, sandwiches the setting up of the whole night ant to everybody who was part of a lovely mass for the music to the readers and everybody in between, and that includes everybody our four clubs all together. 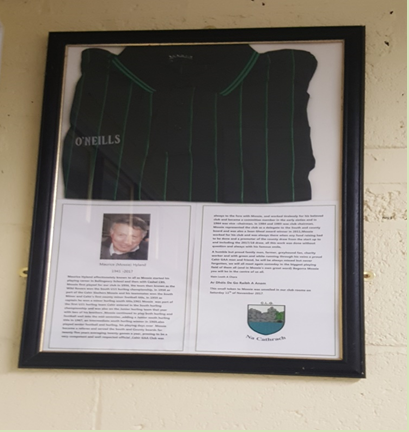 This is the framed tribute to our friend and above all a Cahir GAA man, Mossie Hyland. RIP. As we mentioned earlier there are new photos on the walls of our club rooms and they look great, what's up at the moment are all the winning county teams down through the years up to 2016, but don't fret there will loads more to follow all the souths etc. (below are just a taste of what they look like), we must thank Martin Halpin for his work setting it all up. All the picture work should be finished in a few weeks, make to call in and have a look, might bring back a few good memories enjoy. The parish leagues in hurling were to start last weekend but the weather sorted that out, we hope they can start next Saturday weather permitting, good luck to all our young boys and girls taking part and also good luck to our mentors who always do a great job, these leagues are great fun and enjoyable so keep an eye for fixtures and come along and see the future of our club in action.